Gone With The Wind, "the quintessential film of Hollywood's Golden Age", had three directors (Victor Fleming, George Cukor, and Sam Wood, with only Fleming receiving credit), though producer David O Selznick was the film's main auteur. The Making Of Gone With The Wind, by Steve Wilson, contains more than 600 items from the Selznick archive at the Harry Ransom Center in Texas, to accompany an exhibition which opened yesterday at the University of Texas. The book includes correspondence from Selznick (with transcriptions of each document in a fifty-page appendix), concept artwork (including stunning drawings by production designer William Cameron Menzies), and on-set photographs. The material is presented chronologically, and the large (often full-page) photos are reproduced with surprising clarity considering they're seventy-five years old. Selznick sought to adapt novels as faithfully as possible, a process he called 'pictorialization'; this literary approach, and his endless memos, led to creative tensions with his directors. (Thomas Schatz's book The Genius Of The System and the documentary Hitchcock, Selznick, & The End Of Hollywood discuss this further.) Alfred Hitchcock made Rebecca, Spellbound, The Paradine Case, and Notorious while under contract to Selznick; the villain of Rear Window resembles Selznick, and in North By Northwest, Roger O Thornhill's middle initial stands for "Nothing" in a reference to Selznick's similar affectation. David Thomson (author of Moments That Made The Movies, The Big Screen, Have You Seen...?, The Moment Of Psycho, and A Biographical Dictionary Of Film) wrote the TV documentary Gone With The Wind: The Making Of A Legend, which was broadcast on the launch night of TNT, 3rd October 1988. 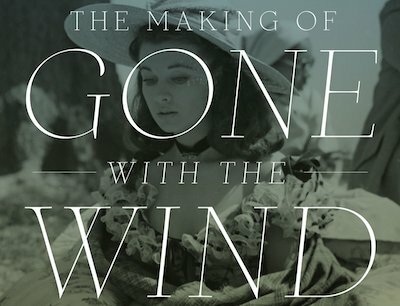 The 70th and 75th anniversary Gone With The Wind DVD/blu-ray releases include a slim book featuring Selznick archive material, and reproductions of Selznick's memos.